"White out" from the Arctic. 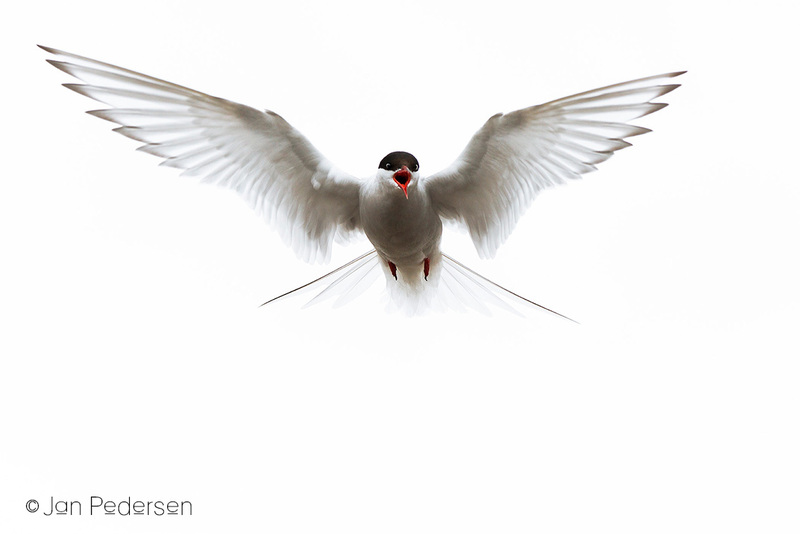 This summers tour to Svalbard gave many opportunities to photograph the Arctic Tern. Its a remarkable bird: Not only is it ferociously aggressive at the nest-site but its also a truly circum-global navigator once every year. Its soon time to migrate south from the Svalbard Arctic to the Antarctic range where it will spend the the winter.